What do Snapchat, Google Glass and Pokémon Go have in common? Simple, the each of their platforms are based on augmented reality. This technological advancement has allowed people to interact with brands and make them part of their daily routine. Are we witnessing marketing’s future? Let’s find out. The term "augmented reality" may sound new. However, it has been applied in various fields of science and entertainment for many years. For example: "Google Glass". This pair of smart glasses that went on sale in 2014 lets you view your smartphone’s notifications and interact with them without having to take the device out of your pocket. Another recent example is “Pokemon Go”. This record breaking game only needed a month to become the application with the highest level of connectivity ever; beating Twitter, Facebook and Tinder. The object of the game is to walk or ride your bike through the city capturing any Pokémon that stands in your way. 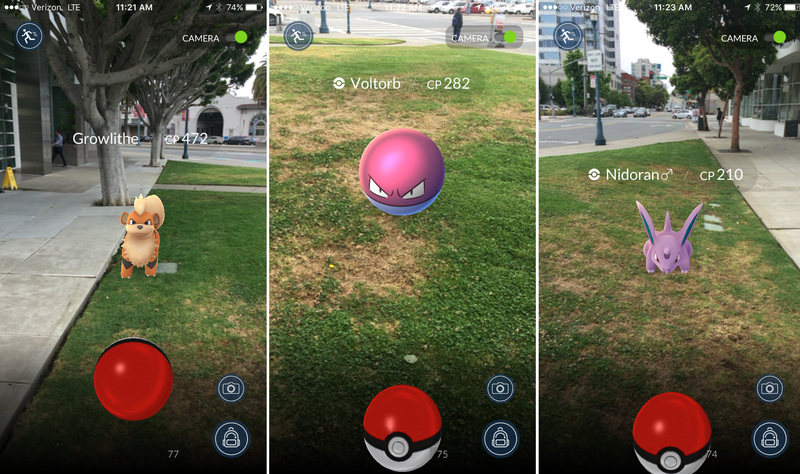 Only one detail, Pokemon are only visible through the screen of your cellphone and you have to go to predetermined locations to stock up in Pokeballs to capture them. Before you can continue, it is necessary to differentiate between the two. Virtual reality is one that takes us through electronic devices, other realities sending our way elsewhere. On the other hand, augmented reality tries to "improve" the reality in which we live. It could be defined as the combination between real and artificial elements. Applications like Pokémon Go belong to the latter. The platform does not take us from our world; it only adds digital elements to the real world to interact with them using any device (preferably mobile). How it integrates with Marketing? The key word here is "interactivity". Day by day, companies seek to integrate technological advances in their marketing strategies. Now that there isn’t a person in this world without a smartphone, it is logical that advertisements use augmented reality through mobile devices. A good example of this is the 2012 campaign of Starbucks. On the other hand, there is the case of Snapchat and the infamous puppy filter. This social network showed the world that the "millennials" prefer to capture unique moments of their daily routine that for less than a minute meant the world to them. But "Snap" filters go beyond entertainment. In the past Superbowl, did you notice there was a special filter where a huge bin of Gatorade was poured on your head? Augmented reality has enormous marketing capabilities. The positioning of a brand or product can be made implicitly through the elements you can see on the screen of a cell phone. Serena Williams tennis player digitally bathed with Gatorade. Companies like Niantic, have opened Pandora's Box. They showed the world that an application can capture the attention of 21 million people at the same time * and can guide players to existing locations such as museums, restaurants, parks, bars etc. Imagine the following scenario: "Burger Shack" a fast food restaurant wants to attract new customers. Seeing that there are 21 million players connected in Pokémon Go, the owner decides to contact Niantic and buy an advertising package that’ll make rare Pokemon appear on the premises. Through a marketing strategy, the restaurant announces the sighting through its website and social networks. To top it all off, there are exclusive promotions for all players on the spot. With everything you just read, do you think it's going to be a success? Virality: Pokémon Go is a subject of extreme popularity today, with a high level of users in the United States and the world. The Strategy: One thing is to buy Niantic services but if you really want to attract new clients use other tools such as social networks to spread the word. Exclusive promotions that encourage consumption: The ultimate goal of all this is the purchase and return on investment. Since players are in the area with their cell phones, be sure to "catch them all" with a promotion that captivates and turns them into new customers. Unfortunately, Niantic does not have packages to integrate Pokémon Go into your marketing plans. However, other applications like Snapchat have them and in a variety of prices. With new technological advances it is important that companies approach their customers in a more personal way. What are you doing for people to fall in love with your brand?